23rd April – 3rd May 2019, 9-5pm. 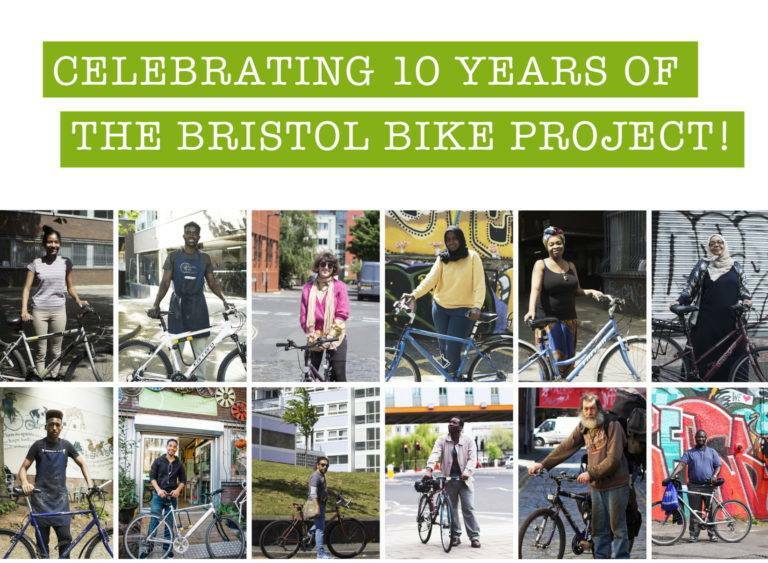 An exhibition to tell the story of ten years at The Bristol Bike Project – showcasing what can be achieved through the power of people, two wheels, and a bit of elbow grease! We’ve come such a long way since the early days, when we were spannering from an old horse stable on the outskirts of Bristol and a back garden in Montpelier, repairing unused bicycles to be rehomed with refugees and asylum-seekers. The mound of donated bikes grew as quickly as the number of people knocking on our doors and before we knew it we were settling into the vibrant workshop in Hamilton House which we still call home today. From our roots this project has always been about more than just giving away bicycles. We promote sustainability and empower our community by providing an inclusive and supportive space for people from all walks of life. Since we started we’ve rehomed nearly 2,000 bicycles with people who couldn’t otherwise afford one, and welcome hundreds of people through our doors each month whether it’s to volunteer, learn mechanics, or just come and have a cuppa! 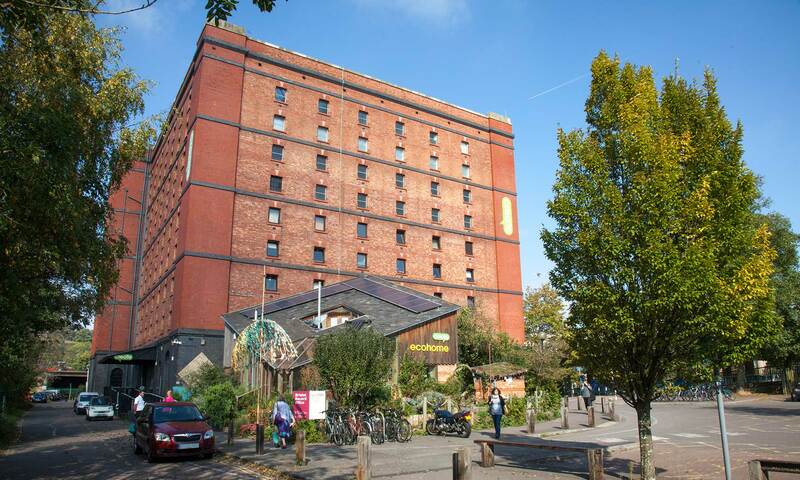 We’re also proud to be a co-operative led by over 170 members, putting our community at the heart of decision-making and helping our city grow by working with other like-minded organisations such as Bristol Refugee Rights, Bristol Drugs Project, and The Big Issue. Transformabin is now at Create! 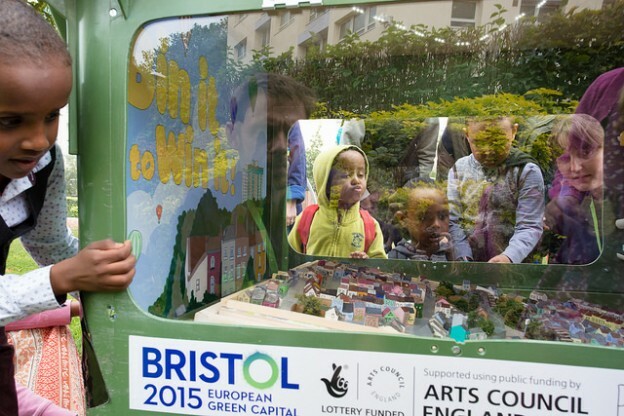 As part of Bristol’s 2015 Green Capital celebrations, 14 unique community inspired projects were commissioned for each of it’s Neighbourhood Partnerships. Mufti Games with Baggator Young People’s Project successfully pitched to Ashley, Lawrence Hill and Easton Partnership to create a fun project highlighting issues relating to household waste, fly-tipping, and recycling in the local area. From this the Transformabin was created; a communal bin converted into a playable games station. The simple labyrinth style game highlights the effects that waste has on our city, combining fun and imagination with a positive envorimental message. This exploration of some of the aspects of textile sustainability consists of two parts. Firstly the CREATE Centre hosts a permanent exhibition of information about textile sustainability, including advice, explanations, and facts and figures. This exhibition is open during CREATE opening hours. The second part is the practical activity days that take place on most Wednesdays from mid morning to mid afternoon. Here the exhibition is extended to include examples of domestic items made from fabrics that would otherwise have been sent to landfill. In addition, such items as cushions, tea cosies, table mats and many other items are being made on the spot, with the intention of encouraging visitors to start or continue their own work. At all the times the exhibition and practical activities are open, free small fabric pieces are usually available so that visitors can take them to incorporate in their own projects. FABRICation is run by Mike Timmins, who is experienced in decorative textiles as well as textile science and technology.